In the legal department of PayPal’s San Jose, California, office, not only does the work seem endless, but it can also come from any direction at any time. Regulatory changes need to be accounted for in both the United States and abroad. A global network of roughly 18,500 employees work toward a goal of democratizing financial services while also having to adapt to a constantly evolving stream of business and legal developments. Privacy rules are again updated in another country where PayPal does business. Business counterparts may suggest the company moves one way, while leadership ponders another direction. Diversity and inclusion is being discussed throughout the industry, but is enough being done to move it into practice? More often than not, all of these competing interests and issues intersect in the office of Wanji Walcott, PayPal’s general counsel. With more than twenty years of legal experience—first in private practice and other in-house law departments and most recently at American Express, where she was before joining PayPal—Walcott says she figured she had a solid understanding of the multiple responsibilities a general counsel has. But when she became PayPal’s general counsel in February 2017, she gained a new appreciation for what the role entails. When it was launched from Palo Alto, California, in 1998, few predicted the ramifications PayPal would have on not only the financial market, but also in changing how we manage money all together. At the time of its launch, PayPal acted similarly to a digital wallet, and it has now replaced the need to mail checks, withdraw money, and more. Recognized by some as the original disruptor when the first payment was sent via a Palm Pilot, PayPal has gone on to increase its platform with the likes of Braintree, Venmo, and Xoom, which enable consumers and merchants to receive money in more than one hundred currencies, withdraw funds in fifty-six currencies, and hold balances in their PayPal accounts in twenty-five currencies. It’s an environment in which Walcott thrives. Although PayPal has a seventeen-year history, its split from eBay in 2015 to become its own public company spun the online payment system into new territory. In many ways, Walcott says, it feels like a new company. And while payments, cybersecurity, and privacy laws can change in any part of the world at any moment, Walcott finds the company can ride the sweet spot of being both reactive and proactive. That influence extends beyond dollars, cents, and bytes of information. 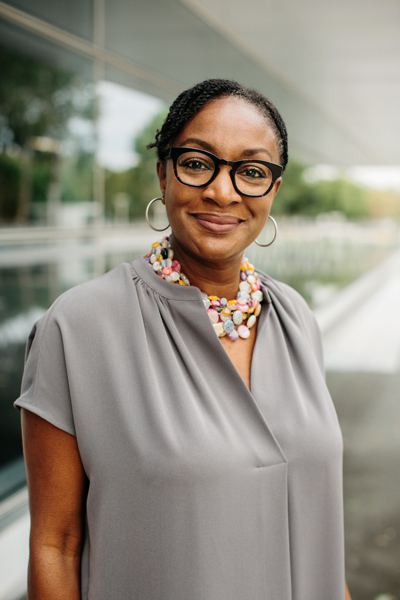 In addition to her role as general counsel, Walcott has also been instrumental in helping launch the company’s black employee network to foster and promote a more inclusive workplace that not only promotes cultural awareness and supports recruitment and retention, but also supports further insight and thought leadership. Walcott is also PayPal’s newly appointed sponsor of the company’s women’s employee network and a member of the GC Thought Leaders Experiment, in which general counsel from more than twenty-five major companies measure which law firm practices yield better outcomes and relationships in support of corporate clients. It’s important that the opportunity is taken rather than simply identified, however. In a budget-conscious environment such as the legal department, the goal is always the highest quality service and best possible outcome, at the right cost. Walcott points out that while that should be a driving factor, it can also stifle creativity. Although there’s been some experimentation for more than a decade with flat fees versus fixed fees, Walcott says she hasn’t seen a tremendous amount of innovation. The GC Thought Leaders Experiment could provide the chance to turn current thinking and practices on its head. Talking the talk is one thing, but Walcott understands that walking the walk is another. That’s why, in addition to her own efforts to focus more on minority- and women-owned law firms for outside counsel help, she’s also encouraging her department to not think of themselves simply as the lawyers for PayPal. In fostering a collaborative environment instead of a referential one, Walcott says she’s pushing three key concepts on her team: empowerment, authority, and accountability. The goal is not only to build the strongest legal team at PayPal possible, but also to spark a ripple effect that can permeate beyond one department. Given her work trying to change the industry in terms of in-house counsel working with outside firms, that’s hardly surprising.